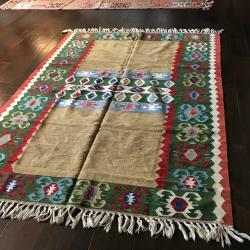 Brazilian Tri-color long-haired cowhide Black/Brown/White. 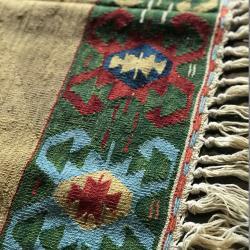 Extremely soft and silky feel. 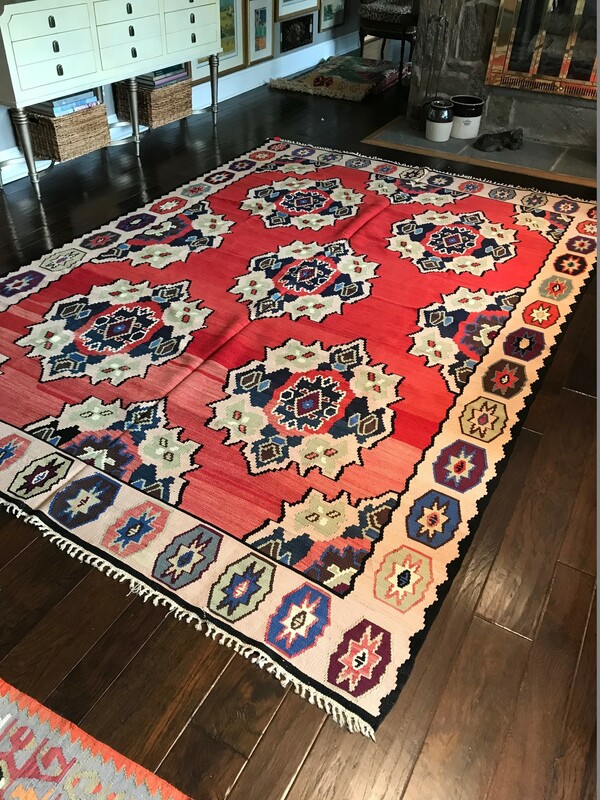 Please feel free to call for pricing. 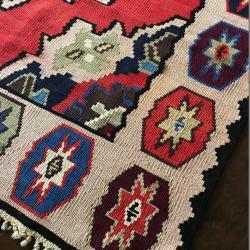 Border detail Handmade Turkish Wool Kilim New Old Stock Vibrant colors 5'-8" x 8'-7" Please call for pricing or more photos. 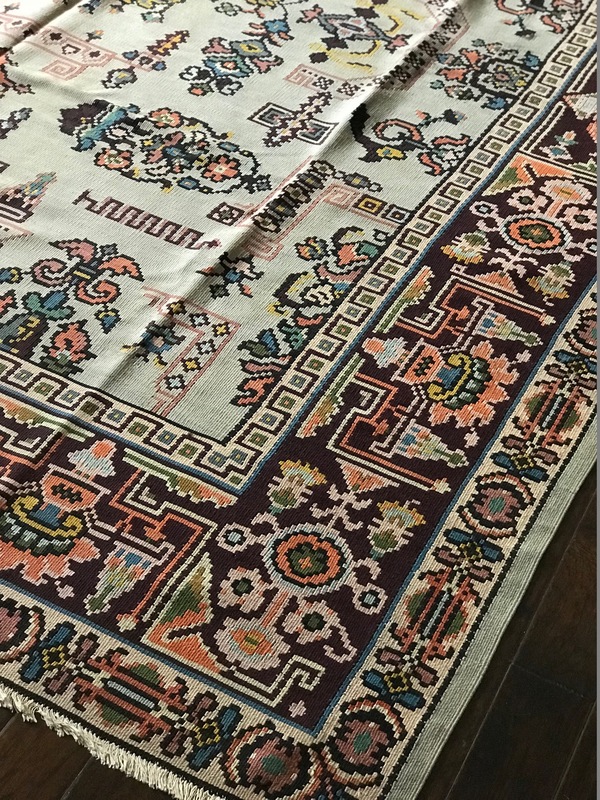 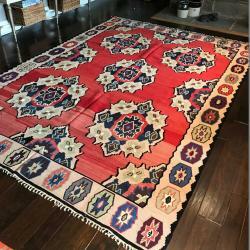 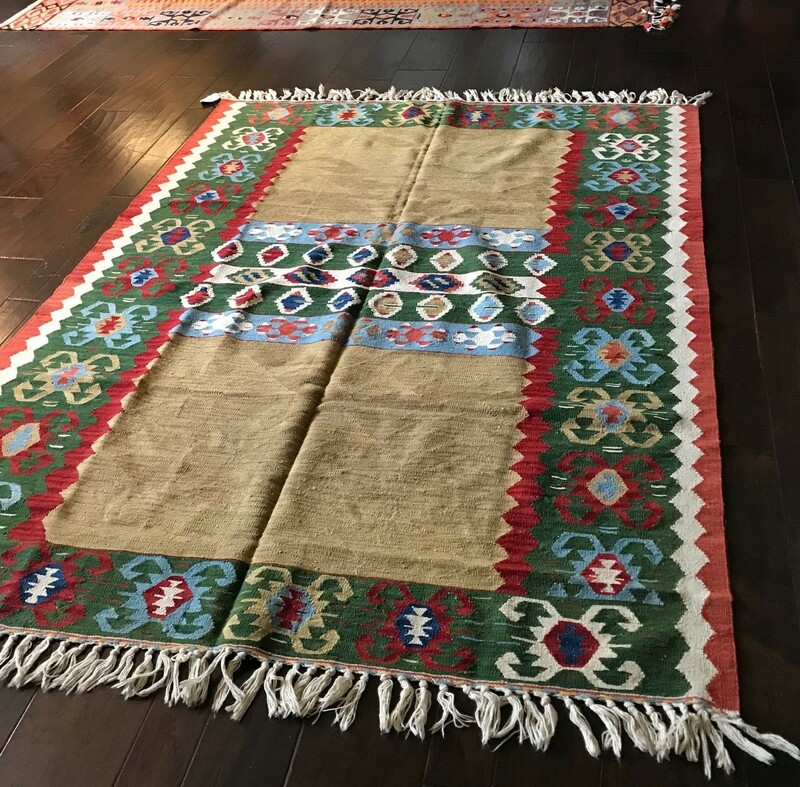 Large Handmade Vintage Turkish Wool "Bassarabian" Kilim New Old Stock 8'-5" x 10'-0" Call for pricing and additional photos. 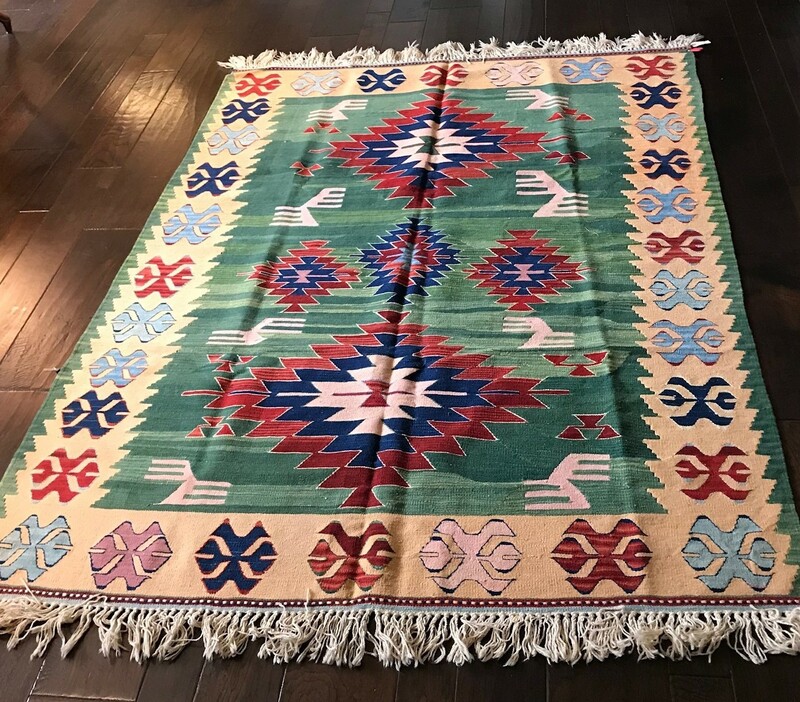 Large Handmade Vintage Turkish Wool Kilim New Old Stock 7'-6" x 11'-0" Call for pricing and additional photos. 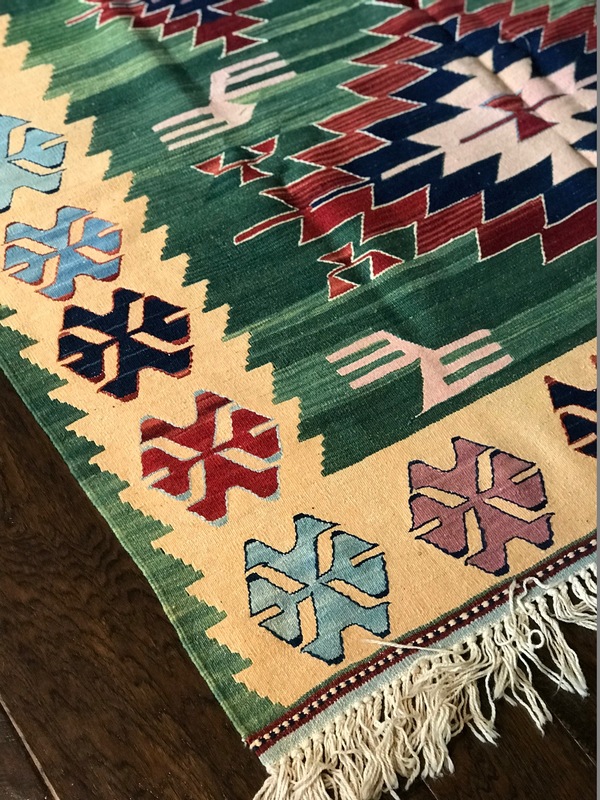 Border Detail Large Handmade Vintage Turkish Wool Kilim New Old Stock 7'-6" x 11'-0" Call for pricing and additional photos. 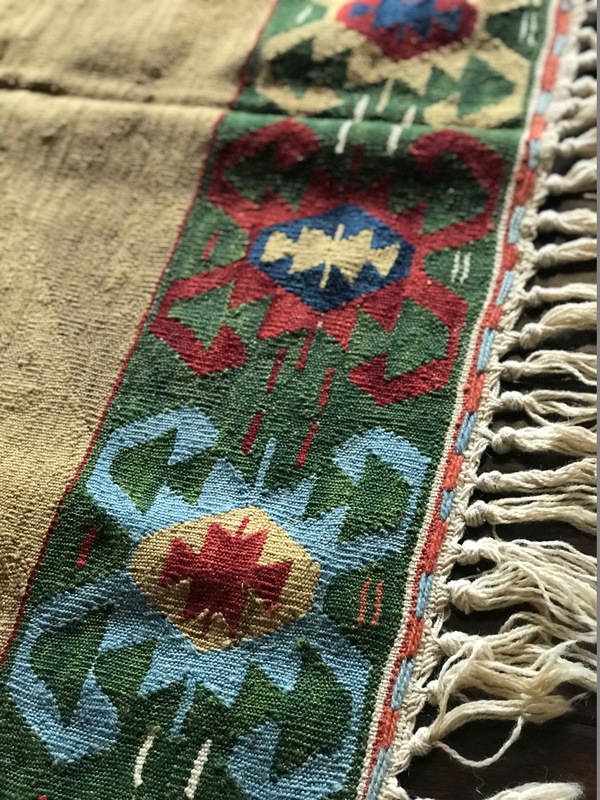 Detail Handmade Vintage Turkish Wool "Ushak" Kilim Very Fine New Old Stock 5'-6" x 8'-4" Call for pricing and additional photos. 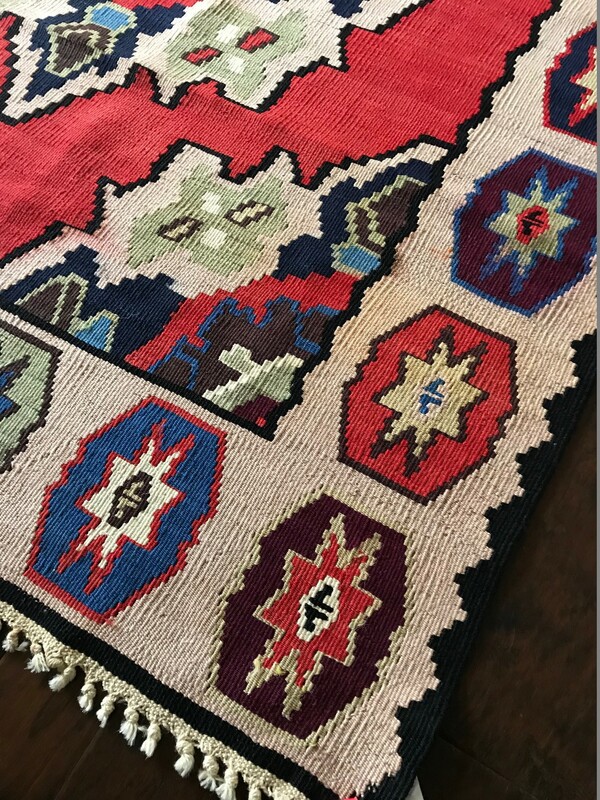 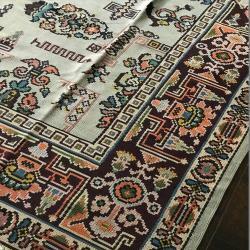 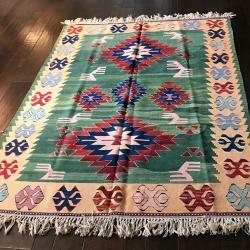 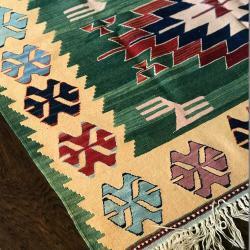 Handmade Vintage Turkish Wool "Ushak" Kilim Very Fine New Old Stock 5'-6" x 8'-4" Call for pricing and additional photos.